The Chairman’s Club is a program designed to raise funds and foster camaraderie within the Sea Family. The Club is comprised of prominent alumni, business leaders and friends of St. Joe’s. Our mission is to help students with their journey through life, so that they can reach the city of God. At its core, The Club aims to raise scholarship money for students who may not otherwise be able to attend St. Joseph by-the-Sea. Financial hardships of any kind should not stand in the way of of an adolescent receiving a Catholic Education grounded on faith and values. To be considered for our Chairman’s Club individuals or businesses must pledge $1,200 a year for four years or a total of $4,800 tax deductible contribution, which will be matched dollar for dollar by St. Joseph by-the-Sea High School so that in turn we can provide a student with a full scholarship. All Chairman’s Club Members will receive an official Club Card granting them benefits both within the school and community at large. All Chairman’s Club Members will receive complimentary tickets to events that take place on Sea’s Campus including sports, theater and the like. The Chairman’s Club hosts several networking events throughout the year where members are invited to learn more about each other, their business, and foster new relationships and growth. The Chairman’s Club has partnered with alumni owned businesses including restaurants, professional services and entertainment who have agreed to extend special discounts to members of the Club. Chairman’s Club Members will also receive timely letters keeping you informed of events, achievements, and most importantly student highlights. I understand that membership includes a pledge of $4,800. Please accept my selection below as the terms of my pledge. I also understand that membership can be either personal or through my business. Please allow 10-14 business days for your welcome packet including your Chairman's Club Card to arrive. Rather Subscribe Via Your Bank Account, Check or Mail? Would you rather pledge via check or ACH Bank Account Debit? You can click the button below to download and print our enrollment form. 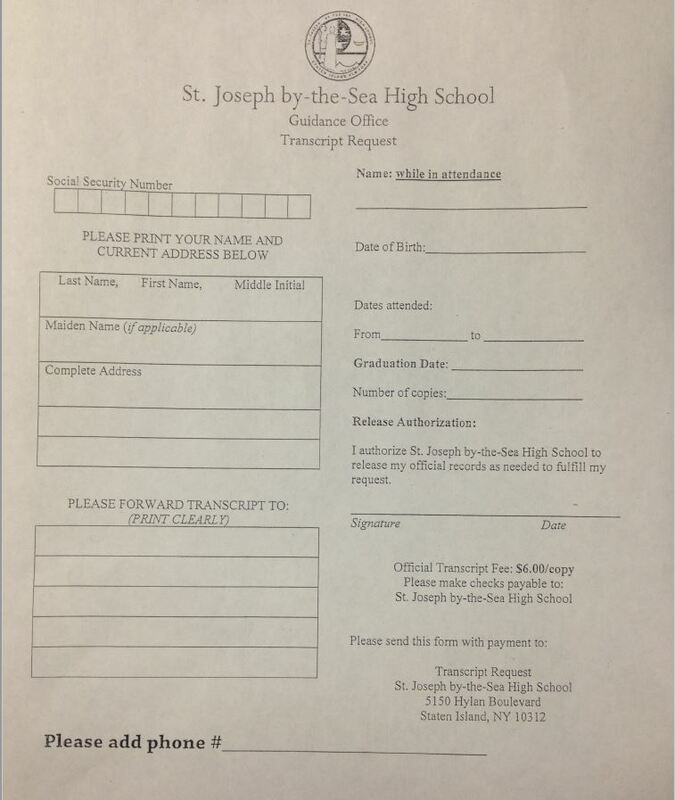 Form can be mailed to St. Joseph by-the-Sea High and checks made payable to St. Joseph by-the-Sea Development Fund. Or you can simply dial (718) 984-6500 Ext. 5324 for more information or to enroll over the phone.